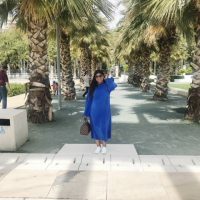 I actually did not plan on writing a book review on my Fashion, Beauty, Lifestyle and Travel blog, but this book you guys… It has connected with me on so many levels. I mean, just by looking at its cover, you want to become a Bawse, the Superwoman way. We all know Lilly Singh as Superwoman and of course we all follow her on Instagram and Facebook, if you’re not… go follow now, please. I promise, from now on you will laugh more in your further life to come. If not? Then you have no sense of humor. Just saying. I started following Superwoman years ago on Instagram and Facebook and I really enjoyed watching her videos. She made laugh out loud and she made videos which sometimes I could relate to. 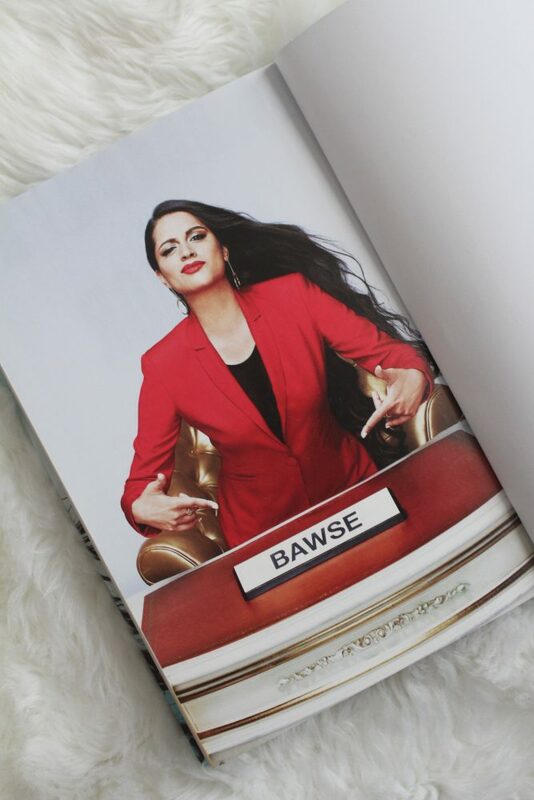 When she made this promo video for her book, called ‘How to be a Bawse’, I immediately knew that I was going to buy her book, and I did! But, it only took me a couple of months before I actually started reading it. So, I have finished reading the book just now. I think this was just the right time for me to read and absorb it. And now I am a Bawse! Pronounce like Rick Ross. Lilly’s book is written just as how she speaks in her videos. Sometimes I could just hear her saying the things that I was reading at the moment. The book has serious as hilarious content as well. At one moment I was laughing so hard while slapping my thigh (the part about The Exorcism of Emily Rose) but at the same time I also could relate to her feelings and situations. 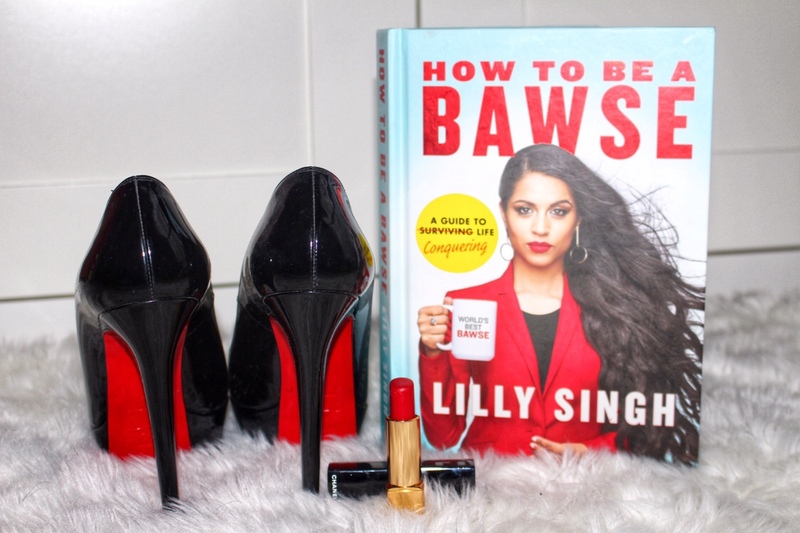 Lilly writes about her path to the success she has now, the obstacles she experienced and a couple of golden tips and guides to become a Bawse. The book has 50 chapters, sorted in 4 categories with beautiful pictures and life experiences of Lilly herself. As I was saying I feel so connected to Lilly on so many levels, besides we share the same roots and age (and make the same gagging noises when we have to eat tomatoes), she really opened up about herself which is a very vulnerable thing to do. Things she feels as a young woman, decisions she had to make and how she processed difficult experiences. She also shares how she dealt with all those challenges and those are things we can really learn from. And of course, everyone is different and has her/his own opinions and point of views of life, but Lilly really mentioned valuable lessons people from all ages, colors and genders can learn and grow from. I don’t want to spoil any content coming from her book, I just want to recommend it to everyone. It’s easy to read through. It contains beautiful pictures from Lilly with powerful quotes. Not only am I recommending this book because I feel connected to Lilly and her book but also because I think that women should support each other more instead of seeing each other as competitives and rivals. Dear Lilly, thank you for sharing this beautiful book with the world and opening to us about yourself. You truly are a Superwoman! As a tea lover, Bootea has been a magnificent invention for me. I have read that it helps you detoxing and stimulates weight loss. I have seen it coming by on the web, Instagram, Facebook and read many reviews before actually trying it myself. I started with this tea detox not only for detoxing but also to lose a little bit of my weight. 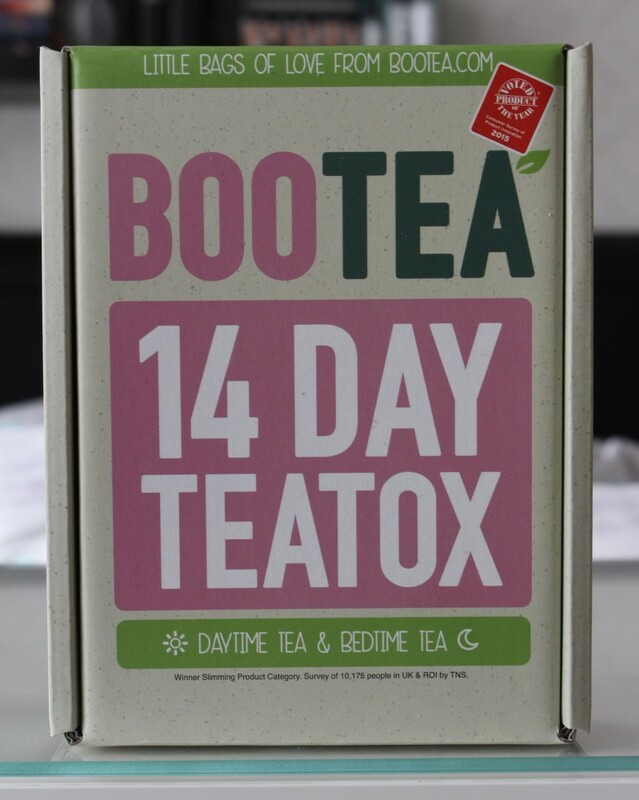 When I was reading reviews before buying Bootea, I also read that adjustment of your eating pattern is necessary and you can not only lose weight by just drinking this detox tea. So, that’s what I did. 🙂 Often I feel bloated and I hope that Bootea will help me to get rid of that too! The description on the box says that you’d better start with this detox in weekend because of its laxative effect and that is what I also did. Curious what Bootea did for me? Keep on reading then! The first day on a Sunday morning I started with the daytime tea. This one you have to drink for 14 days straight in a row. The teabag has a very strong herb smell. I thought the taste would be just as strong as the smell, but that was okay. 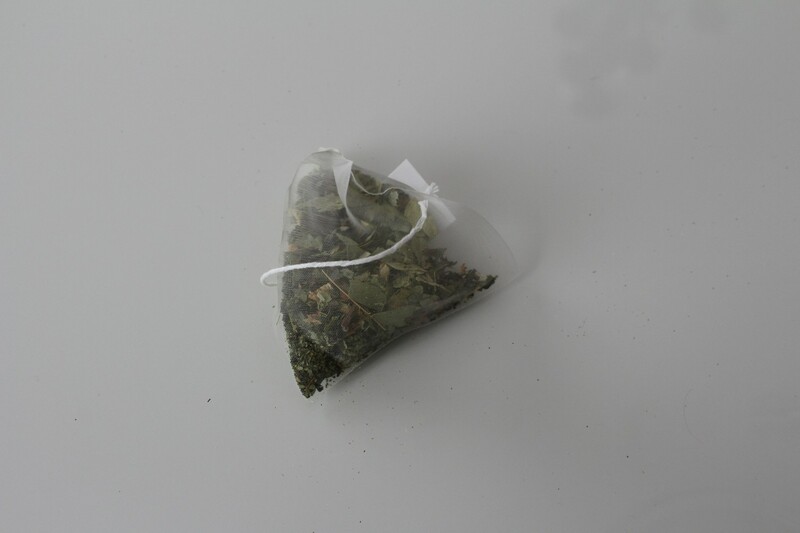 Normally I do not drink my tea very strong, but you have to leave this detox teabag for 3 to 5 minutes in your cup. For someone who does not like strong tea, I should say that I loved the taste of this daytime tea. Everyday I drink several cups of green tea, but I did love this herbal tea too. I got myself a big cup of Bootea every morning while getting ready for work. On the first day I also drank the bedtime tea, just a couple of hours before heading to bed. The bedtime tea is only for seven days, which you should drink every other day. The bedtime tea was very calming to me and has a minty kinda taste. The smell had a strong herb-y smell too, just like the daytime tea. Normally I do not like mint tea, but this one tasted very good. Also the strongness of this bedtime tea did not bother me. It gave me a good night rest. The ingredients for the daytime tea contain Chinese Oolong tea, Maté leaves, Ginger root, Fennel seeds, Lemongrass, Dandelion leaf, Ginseng root, Gotu Kola leaves and Nettle leaves. And the ingredients for the bedtime tea contain Senna leaves, Peppermint leaves, Fenugreek seeds, Licorice root, Burdock root, Hawthorn leaves, Valerian root and Psyllium seeds. I really did taste the peppermint leaves in the bedtime tea, which gave me a fresh feeling. I also tried Ginseng tea before, but that was no success for me. I did not like the smell nor the taste. I think it had too much of a bitter taste but I do like how Ginseng root is processed in Bootea. 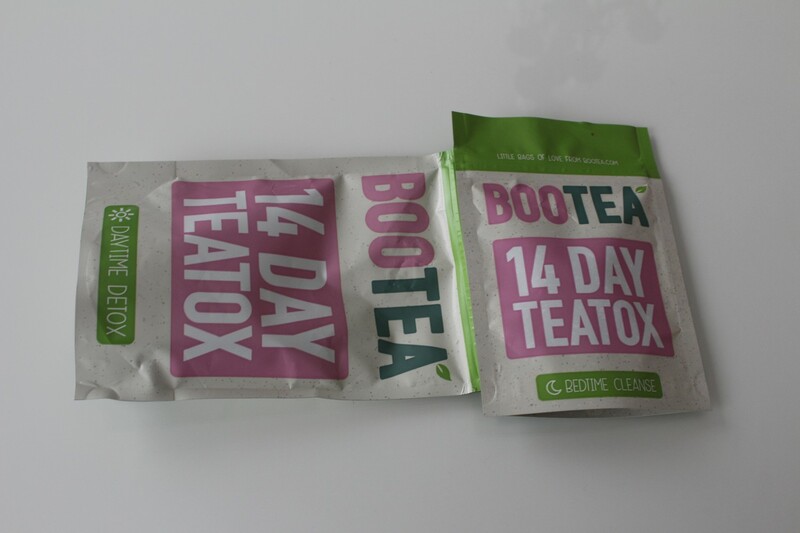 I truly recommend Bootea to everyone who wants to detox their bodies in a healthy way. I liked the taste of both teas. If you are a regular tea drinker, you should really try Bootea. The laxative effect was quite heavy on me, but I only lost one kilogram. I can see that I have lost weight in my face and waistline and also my stomach is not that bloated anymore. You can buy Bootea at www.bootea.com for €25,04 (shipping costs not included) and for my Dutchies you can buy them at De Tuinen online and in store for €27,99 including shipping costs for the Netherlands and Belgium. I am sure that it’s good for your body to detox once in a while. Next time I will go for the 28 days Bootea challenge! The young woman behind FAAZ Italy is Rachaila Habib, who is also the CEO of the brand. In 2014 she published the brand and her website and from that moment her little girl’s dream came true. The name FAAZ has a personal meaning to her, it is dedicated to her mother who is her role model, which makes it more special to her. This brand that Rachaila has designed is meant for girls and ladies. If I had to describe her brand in just three words, I would say it is Fashionable, Classy and Hip. She also makes sure she uses excellent materials and she has an eye for all details and also very important, her collection has an affordable price! Last week I had the pleasure to be a part of the FAAZ Italy fashion party. 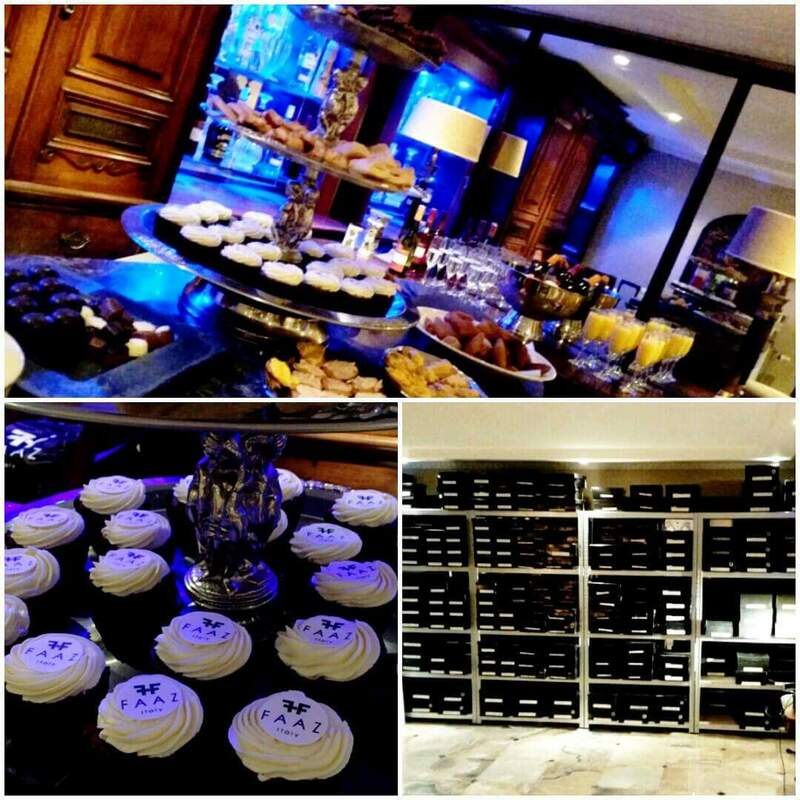 Rachaila organized her party like a real party planner; Music, food and champagne! I felt delighted to be invited and join a party of FAAZ. Thank you Rachaila for this honour.